This Baroque church, designed by Kilian Ignaz Dientzenhofer and Paul Ignaz Bayer, was built from 1730 to 1736. 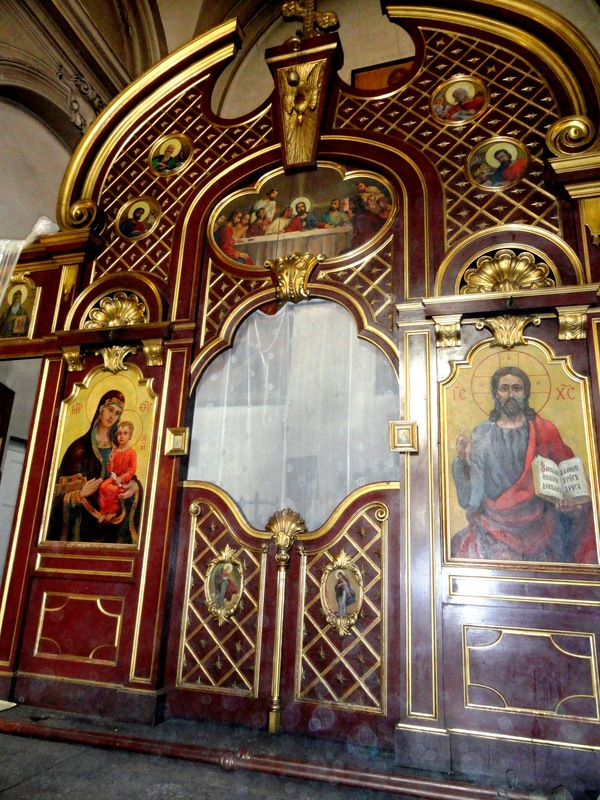 The interior of the Orthodox church features stucco paintings by Michele Ignazio Palliardi and frescos by Jan Adam Schöpf. The church has a memorial to the paratroopers who hid in the church crypt after they assassinated Reichsprotektor Reinhard Heydrich in May 1942. An exhibition about Heydrich’s reign of terror is located in the underground vaults. National Memorial to the Heroes of the Heydrich Terror in the church´s crypt. This new Baroque church designed by Kilian Ignaz Dientzenhofer and Paul Ignaz Bayer was built from 1730 – 1736. As this major church was originally consecrated to St Charles Borromeo, the frescoes inside depict scenes from the legend of St Charles and were painted by Jan Adam Schöpf. The stucco work from 1739 was created by Michele Ignazio Palliardi. 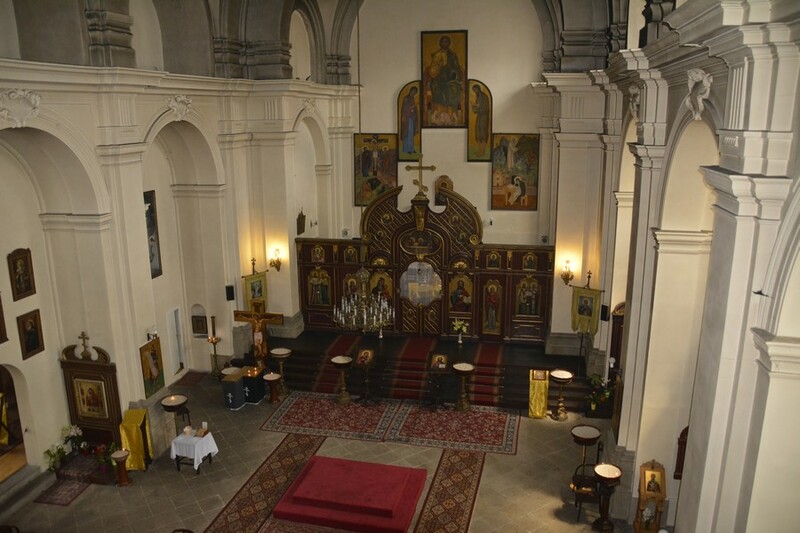 The church has served the Czechoslovak Orthodox Church since 1935, when it became the seat of Orthodox Bishop Gorazd. 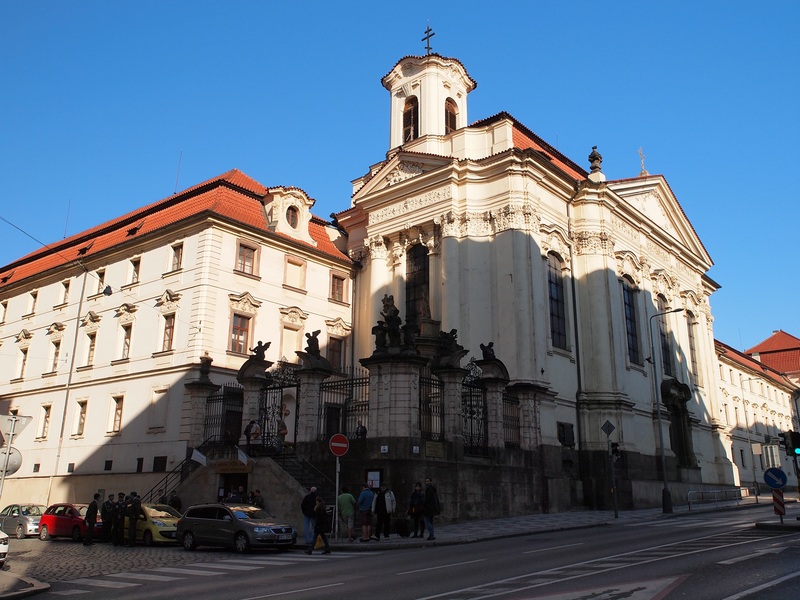 The church is deeply inscribed into Czech history for its role during the Nazi occupation. This was where the paratroopers who planned the successful assassination of Reichsprotektor Reinhard Heydrich were hiding. The full-blown search for the assassins made it impossible for them to leave Prague, and traitors gave away their location at the church. SS and Gestapo officers surrounded the church and its surroundings, and a battle broke out in the early morning of 18 June 1942. The outnumbered paratroopers did not stand a chance against the Nazis. After using up all of their ammunition, each used their last bullet to take their own lives. When the Germans entered the church, five of the paratroopers were already dead and two died on the way to hospital. In addition to the many others who provided aid to the paratroopers, officials from the Orthodox Church and St Cyril and Methodius Church who had helped hide the paratroopers were executed. The Orthodox Church was banned in September 1942. After World War II, the church was repaired and the crypt was opened to the public. A bronze memorial plaque installed on the wall of the crypt in 1947 and bearing the names of the paratroopers and their protectors commemorates these heroes. The Orthodox Church achieved legal autonomy in 1951 and St Cyril and Methodius became a Metropolitan church. Services are also held in Church Slavonic.